I spend a fair part of my day on the telephone. And when I can help someone reform their local pound or when I can help a shelter manager improve their rate of lifesaving, I find it rewarding. But there is one type of telephone call (and e-mail) that fills me with dread. And that is the person who calls about inhumane treatment or other unethical behavior of a local “shelter” or animal welfare organization, but wants to remain anonymous. I understand there are strategic reasons for not going public at a particular time. When Best Friends Animal Society stabbed the rescuers of New York State in the back by refusing to support Oreo’s Law because of their relationship with Oreo’s killer, I did not go public during the debate on the bill in the Assembly because I feared it would hurt its chances for passage. It was a strategic decision based on what, in the end, I determined to be in the best interest of animals. In one city where the pound is a haven of neglect and abuse, given that there are already quite a few voices calling for reform, I counseled one person on the inside not to go public him/herself, but to feed the inside information to others. Since they were the only person committed to the animals allowed on the inside, and without them the animals would on some days not even get fed, I felt that since there was already a strong movement for reform, the animals needed what care that person could provide. Do you look the other way at inhumane treatment of animals in the shelter for fear you will lose your ability to rescue/volunteer? And the answer, invariably, was “Yes.” They described how other rescuers were barred from saving animals as retaliation for complaining about the shelter, even if they first offered suggestions and when those were ignored, went public. And so rather than see the animals killed, rescuers have learned to keep quiet. To see the dog bleeding in his cage but not complain. To see staff playing cards in a back room or socializing up front while the animals languish in their own waste, fail to get treatment for their medical condition, or see cruelty calls ignored by officers who are not being held accountable. In some communities, rescuers who complained about conditions in the “shelter” found that the animals they called about and stated they were en route to pick up would be dead, killed out of spite, by the time they arrived. And although it is illegal, they have nonetheless had their ability to volunteer or rescue terminated. In a statewide survey of New York State rescue groups, 43% of groups that complained about inhumane conditions have been subject to retaliation, while over half—52%—that have witnessed inhumane treatment of animals have looked the other way because of fear of retaliation. I went to the shelter because I was told they had a mother cat and three kittens that they had scheduled to be killed even though they were healthy. When I arrived to pick up the cat and kittens, the shelter manager asked to see me. She told me that [name deleted], a member of our rescue group, wrote a letter complaining about the shelter to the board of supervisors and that they didn’t appreciate it. She told me I could therefore only have one kitten. I begged her to let me take them all, but she said that I couldn’t. She told me to pick one and she was going to euthanize the rest, including the mother cat. I didn’t know what to do. And so I picked. My hand was shaking as I filled out the paper work. After I got the kitten, I went outside and sat in the car. Then I threw up all over myself. Although I understand what is at stake, and my heart aches for them, if this is to change, people must speak out (or, conversely, as Edmund Burke famously said, ‘All that is necessary for the triumph of evil is that good men do nothing’). If volunteers did not stand up and publicly fight in Tompkins County, it would not have become the first No Kill community in U.S. history. If activists did not wage a campaign for reform in Austin, it would not have had a 96% save rate for August. Wherever there is No Kill, there was once a shelter steeped in killing. And what made the difference between the shelter then and the shelter now was the courage of a few individuals who stood up, at their own peril, and spoke the truth. Yet, too often, I encounter people who are unwilling to do this, even though by their own admission, they support No Kill and know reform is necessary. Tragically, their reluctance to speak out has nothing to do with strategy. It has nothing to do with a decision that saving some animals requires them to look the other way at the killing or neglect of others. They choose to remain anonymous because they do not want to “make waves.” They do not want to “get involved.” They do not want to be ostracized or to take the heat. Or they have something to lose. They want someone else—usually me—to do “something about it.” But then they shackle me by saying I can’t use their name and I can’t use the information because it will lead back to them. It happens to my regularly. And this week, it occurred on three occasions. In one case, a rescuer found out that a high kill shelter was transferring animals from outside their jurisdiction from other rescuers, promising to find those animals homes. The rescuers (some of them No Kill) thought they were saving the animals and many of those animals were in no danger of being killed in the first place. But seven out of ten of those animals were put to death. I had a reporter willing to write a story in the daily paper if the person agreed to speak to them. She refused, choosing to remain anonymous because she did not want to be “ostracized” by the group. In other case, a reporter was willing to do an expose in the local newspaper about misuse of funds and possibly illegal conduct at a major humane society with a 70% rate of killing. But the group with direct evidence of the fraud did not want to get involved because they had something to lose. Instead, they issued a “no comment” and the story—though it would have revealed the level of corruption at the agency to the public—never appeared. In yet another case, a former Board Member of an animal protection organization has evidence of misuse of donor funds and possibly illegal conduct on the part of the leadership of that organization, but fears legal retribution because of a “non-disclosure agreement” s/he was required to sign, even though such agreements are designed to protect “trade secrets” or other information exempt from disclosure such as member names, not to keep secret morally reprehensible or possible criminal conduct. Over the last several months, I’ve had others. A pit bull advocacy and rescue organization refuses to come forward about a shelter manager who kills older Pit Bulls with no holding period (in violation of the law). The group has a “good” relationship with this “shelter” and does not want to make waves. In another case, a former employee of an animal rights group came to me with evidence of how that group misleads people by promising to find their animals a home, only to put them to death as a matter of policy. She wanted to remain “anonymous,” making the information useless. In all of these cases, people with information about harmful, abusive, and potentially illegal activities being committed had the power to do the one thing necessary to put these actions under the cleansing light of public scrutiny and thus, bring them to an end: speak out. But in each of these cases, they refused to do so, virtually assuring that they continue. It isn’t always easy to stand up and speak truth to power. They will smear you for it, they will assassinate your character, they will accuse you of the very things you are trying to fight. I’ve been accused by killing apologists, killers, and killing advocates of being in league with puppy mills, of profiting off of the deaths and suffering of animals, of being “for hoarding.” Admittedly, this is no fun. But it comes with the territory. And, more importantly, it pales in comparison with what the animals have to endure: neglect, abuse, killing, even starvation at the hands of those who are supposed to be their protectors. Against the backdrop of that, personal attacks are of little consequence. Against the horrifying conditions and staggering levels of killing animals face, they matter for naught. Two or three years of ridicule and abuse have thickened the epidermis of my sensibilities, and I have acquired the habit of doing the thing I think right, regardless of public clamor. In other words, you get used to it. And you overcome the fear. Soon, it is even forgotten. In a worst-case scenario, someone will call you names; dragging your name through the mud. But our lives are not on the line. 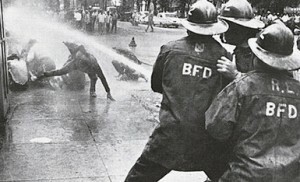 Unlike other social movements, we’re not facing fire hoses, or the baton, or jail, or lynching. All the voiceless animals need from us is to speak out and, at most, have our names trampled. It is they who face the lynch mob. Not to speak out on their behalf because we don’t want to be ostracized or to make waves or because we have something to lose is simple cowardice. When you speak the truth, when you stand up to bullies and expose them for who and what they really are, there may be some hardships, but there are also plenty of rewards. That the neglect and abuse ends and that the animals live instead of die goes without saying. Moreover, when you show courage, it inspires courage in others and you find you are not alone. A movement grows. History vindicates you. And you become a leader. At one time, Ryan Clinton was the target of relentless attacks by the ASPCA and its acolytes in his fight for a No Kill Austin. Today, despite the “vexatious difficulties” heaped his way, he can be proud of the fact that Austin’s better than 90% rate of lifesaving is a direct result of his fight for No Kill. I knew that there is nothing more majestic than the determined courage of individuals willing to suffer and sacrifice for their freedom and dignity. Though possessed by fear and plagued by feelings of inadequacy, the sacrifices of others inspired him to sacrifice as well. The rest, as they say, is history. Today, Martin Luther King Jr. is a man who needs no introduction. Today, no one speaks his name without awe and reverence for his tremendous courage. Because of him, we have the Civil Rights Act. Because of him, we have legal equality. Because of him, we live in a nation where people are not judged by the color of their skin but by the content of their character. But if I may be given the liberty to differ from the great man in one small respect, and without a desire to underplay the threats African Americans have faced and what they were fighting for, I would say this: The most majestic thing of all is the determined courage of individuals willing to suffer and sacrifice for the freedom and dignity of others. Especially when those others have no voice of their own. Stand up. Speak out. Fight the power. Without you, the animals don’t stand a chance.